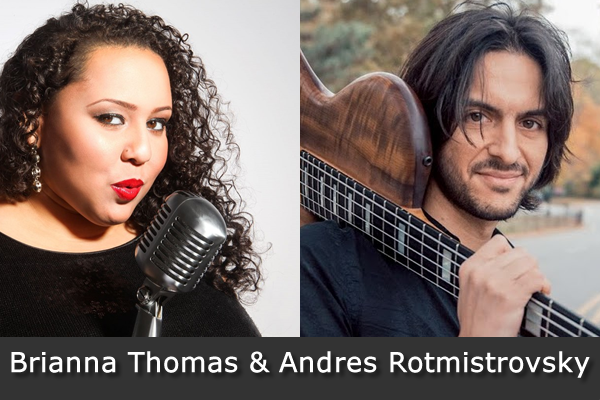 Andrés Rotmistrovsky: A rising star who is in demand, Andrés’ bass guitar is heard on more than 50 albums – he has worked with acclaimed artists including Joan Baez, Ruben Blades and Marta Gomez. He has toured the world several times and performed in prestigious venues including The Blue Note Jazz Club, Carnegie Hall, Lincoln Center, at the Latin Grammys, The Apollo Theater, Nokia Theater, Boston Symphony Hall and the Montreux Jazz Festival. Bass Player Magazine called Andrés “a talented newcomer”. He has created quite a buzz with his melodic approach to bass and has been featured in publications and on websites.